Providence Academy is a fully accredited, private, independent Christian school, educating students from Junior Kindergarten through 8th Grade. Providence Academy is accredited through the Association of Christian Schools, International (ACSI), Southern Association of Colleges and Schools (SACS/AdvancED), is a member of the Virginia Council for Private Education (VCPE), and founding member of the Northern Virginia Association of Private Schools (NVAPS). 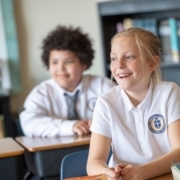 The mission of Providence Academy is to nurture and educate children – in partnership with their families and church – to become mature spiritually, academically, socially, and physically to the glory of God. Providence Academy’s motto – “Veritas, Fides, Sapientia (Truth, Faith, Wisdom)” – reflects our mission to provide a richly textured education designed to inspire academic excellence and strong moral character informed by Christian values. Under a capable and dedicated faculty, our students are educated to meet the future with skill, confidence, determination, and generosity of spirit. We are a non-profit organization governed by an all-volunteer Board of Trustees and Headmaster. The day to day academic and administrative operations of the Academy, supervised by the Headmaster, Mr. Kevin Lockerbie, are exemplary. The chief educational officer of Providence Academy hired by the School Board to manage the daily operation of the School and to implement the mission and policies established by the Board, the Headmaster is also an ex-officio, non-voting member of the School Board. Pastoral guidance is provided to the faculty, parents, and students of Providence Academy by the School Worship Pastor. The School Worship Pastor also leads weekly chapels and morning devotions. The Parent Teacher Association plans and implements activities designed to involve parents in the life of the school; fosters communications and friendship among parents, faculty, administration, and the Board of Directors; hosts family oriented events; provides hospitality at school functions and events; and provides other services necessary to encourage parental involvement in School activities. The President of the Parent Teacher Association presides at all meetings of the Parent Teacher Association. 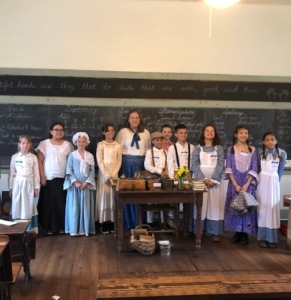 Providence Academy admits students of any race, color, and national or ethnic origin to all the rights, privileges, programs, and activities generally accorded or made available to the students at the school. It does not discriminate on the basis of race, color, and national or ethnic origin in administration of its educational policies, admissions policies, scholarship and loan programs, and athletic and other school administered programs.